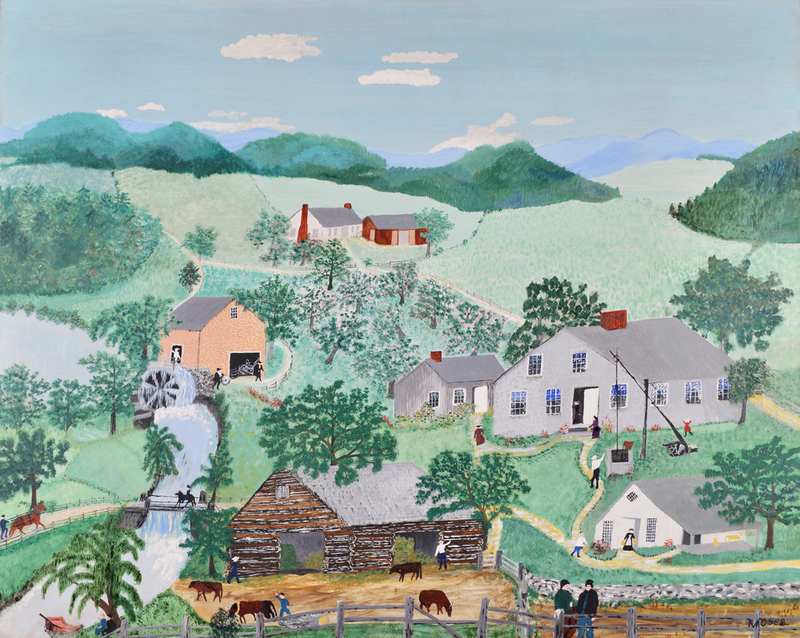 Galerie St. Etienne New York, NY 212-245-6734 gallery@gseart.com Anna Mary Robertson (“Grandma”) Moses (1860-1961), "The Old Oaken Bucket," 1949, oil on pressed wood. Signed, lower right. 24" x 30" (61 x 76.2 cm).